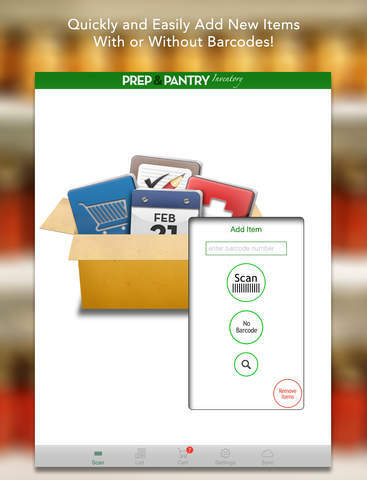 Whether you’re a prepper, chef, household manager, small business owner, or just someone who wants to be organized, Prep & Pantry will help you keep track of what’s on hand. Know exactly what you have on hand and save yourself time and money every time you go shopping! Know when your perishables will expire and keep from wasting food because it was forgotten! • The money you’ll save will more than make up for the price of this app. • Scan barcodes for quick entry and checkout. 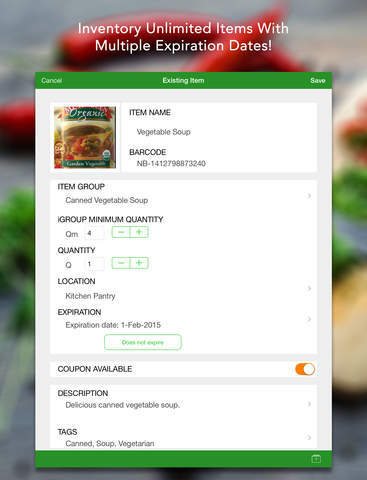 • Easily inventory items without a barcode. • Keep track of your inventory for multiple locations. • Quickly see when perishables are about to expire. • Sync and email lists easily with friends and family instantly for coordinated shopping. • You can inventory more than just food! - Unlimited locations, unlimited syncing, and unlimited item inventory. - Syncing is fast! Changes appear only moments later on all the devices in the group! 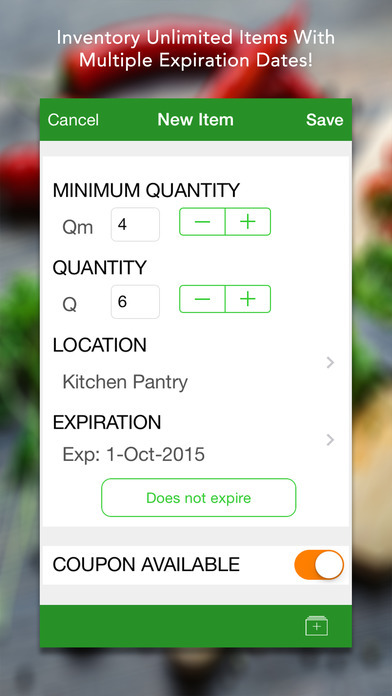 - Track multiple expiration dates for any item, of any quantity, in any location. - Inventory items both with and without barcodes. - Fast item look-ups from our online database featuring over 1.5 million items and growing every day! - Easily move items from one location to another. - Track the price and purchase history. - Several reporting options including exporting to CSV. - Easily add items to your shopping list. - Shopping lists are sortable by store. - Quickly attach item photos; see the exact item you are looking for. 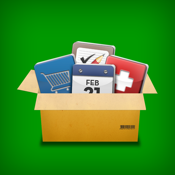 - Sync your inventory and shopping lists between your iPad, iPhone, and other mobile devices. - Since 2010. Continuously improving and fully supported. *Keep in mind that for syncing and automatic online item look-ups to work you will need an internet connection.